Important krill habitats are under threat from climate change, and this latest research – published today (21st January 2019) in Nature Climate Change – has found that their distribution has contracted towards the Antarctic continent. This has major implications for the ecosystems that depend on krill. An international team of scientists, led jointly by Dr. Simeon Hill at the British Antarctic Survey and Dr. Angus Atkinson at Plymouth Marine Laboratory, analysed data on the amount of krill caught in nets during scientific surveys. The data covered the Scotia Sea and Antarctic Peninsula – the region where krill are most abundant. The team found that the centre of the krill distribution has shifted towards the Antarctic continent by about 440 km (4° latitude) over the last four decades. The study provides support for a proposed mechanism behind these changes – an increasingly unfavourable climate leading to fewer young krill replenishing the population. This has led to a smaller population dominated by older and larger krill. Dr. Atkinson added: "This is a nice example of international cooperation in Antarctica. 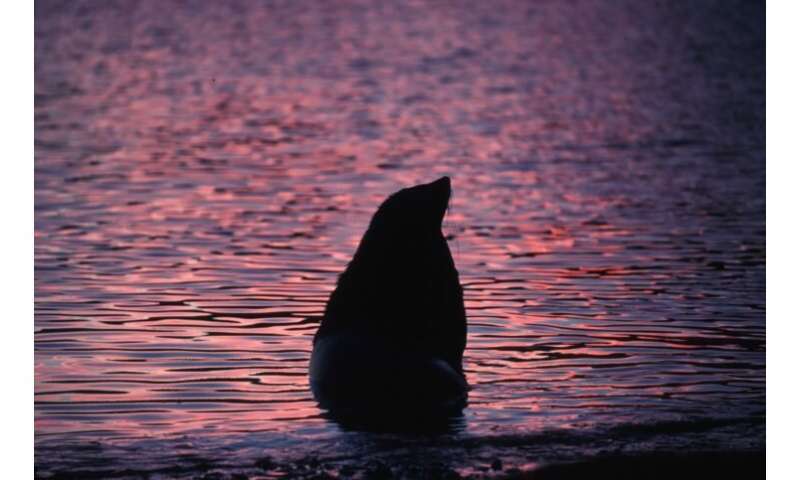 It is only when we put all our data together that we can look at the large scales of space and time to learn how populations of key polar species are responding to rapid climate change." Dr. Hill continued: "The surveys which provided these data weren't intended to monitor change over large spatial scales or over 90 years. The fact that we see a signal amongst all of this noise is an indication of how much the population has changed over time. These changes appear to be driven by the global climate. Continued precautionary management of the krill fishery is important, but is no substitute for global action on climate change." Antarctic krill mainly live in the upper water column of the Southern Ocean, but are also found in deeper water and at the seabed. They feed on small plankton organisms and are themselves staple food for fish, penguins, seals and whales. Krill are also harvested by commercial fisheries for human consumption. There are an estimated 100-500 million tonnes of krill in the Southern Ocean – similar to the weight of the world's human population. Antarctic krill supports an important international fishery, which currently catches around a quarter of a million tonnes per year. It is managed by the Commission for the Conservation of Antarctic Marine Resources (CCAMLR) with catch limits that are well enforced and conservative, compared to the current stock sizes. However, the major fishery is in the Scotia Sea and Antarctic Peninsula region which is undergoing rapid climatic warming. 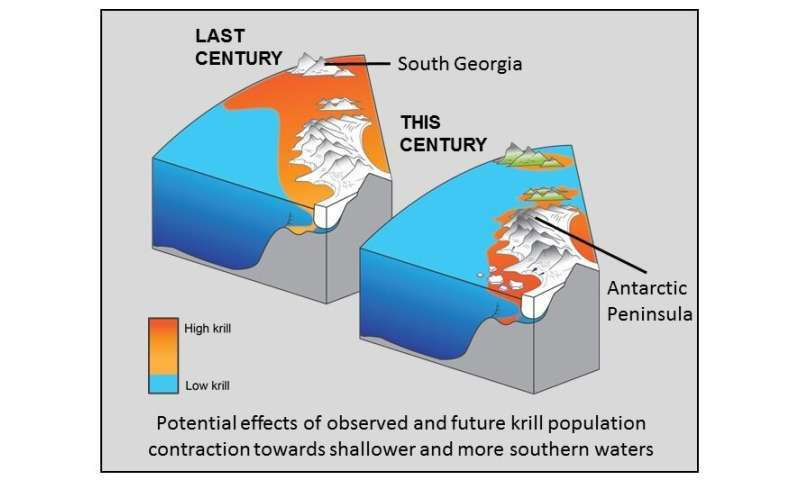 This warming is projected to continue, with unknown consequences for krill. In order to understand the repercussions for the food web, for biogeochemical cycling and for fisheries management it is imperative to understand how krill are responding to the ongoing changes observed within this sector. The team compiled two large datasets of krill population density and size structure records from scientific surveys dating back to 1926. As well as published datasets, the authors retrieved information from old notebooks, creating a valuable database featuring thousands of net hauls over nearly a century.